As I grow older I have come to realize that life is a series of beginnings and endings. I believe that much of this is to prepare us for some of life’s greatest challenges. We tasted the bitterness that came along with saying good-bye to some great players and a great coaching staff during the off season. But on Monday night Cardinal fans will get to taste the sweetness of new beginnings. Monday night starts a new era of Louisville football, and one that will surely be full of success. So here we are Cardinal fans heading into a new season. We made it through our transition year and now will embark on what will be a game changer for the Louisville football program. We won’t have to wait weeks to play our first ACC opponent. The Cards will play Miami on Monday to kick off what will surely be the first of many battles between these teams. This game has so many story-lines. From the Godfather of both programs Howard Schnellenberger who went 41-16 at Miami, winning the ’83 national title and went 54-56-2 at Louisville, winning the ’91 Fiesta Bowl. To what has previously been named one of the top recruiting battles in the country, and with the current coaching/player’s connection between these schools this one has got it all. There will be 14 Louisville players from the Miami-Dade county area featured in this game, and 30 Louisville players from the sunshine state all together. Some of these guys have played against each other since they were little kids. This just adds extra fuel to an already heated rivalry that has developed between these teams. Our Cardinals have walked away with a win the last two times out against the Hurricanes. A win in 2006, when the Cards beat the visiting Canes 31-7, and a win just a few months ago in the Russell Athletic Bowl 36-9. Miami leads the all-time series, 9-2-1. This game is really a tough one to break down as both of these teams have several new variables to consider. Both of these teams lost some very good players but also have some great ones back. Something that may come into play though is how well the Cardinals have learned the new offensive and defensive schemes. Mind you we do have an offensive genius on our sideline. -At the QB spot both teams have a question mark. I do think Gardner has the edge even though he’s learning a new offensive scheme. Brad Kaaya by all accounts is a very good player, but starting a true freshman on the road in what will be a very hostile crowd will be tough. -Both QB’s will have the luxury of handing the ball off to some very talented running backs. I think this part of the game gives a slight edge to Miami. With Dyer not 100% Dom Brown and LJ Scott will have to carry more of the load. Miami has Joe Yearby, powerful sophomore Gus Edwards, and Duke Johnson who will return for another year. Johnson has rushed for 16 touchdowns in his first two seasons, despite missing the last five games of the year in 2013. Cards defense will have their hands full with this group. 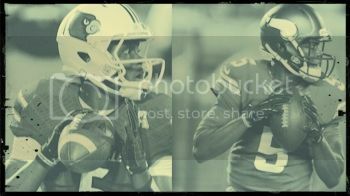 -Both QB’s will also have some great talent to throw it to as well. Listed by ESPN as the potential #1 and #2 WR units in the ACC. Both teams lost their leading receiver from last season. Our Cardinals return four of their top five leading receivers when factoring in TE Gerald Christian. Even with Parker out we still have plenty of weapons. Look for Eli Rodgers, Matt Milton, Kai De La Cruz and James Quick to fill the void. The Hurricanes return five of their top six receivers from 2013. Stacy Coley will be their top guy, Clive Walford a very good tight end, Phillip Dorsett, Herb Waters and Beau Sandland will be among some players the Cardinals secondary will have to stop. -One of the biggest keys to a football game is what happens in the trenches especially on the O-Line. We’ll have to see what unit wants it more Monday night, but I like our group with veterans John Miller and Jake Smith leading the way. Miami lost a few of their O-Linemen but they still have a very talented group also. Left tackle Ereck Flowers, left guard Jon Feliciano and center Shane McDermott will hold down their side. -On defense the Cardinals will have to adjust to life without some very good players especially in the secondary. And had to learn a whole new system. The Cards return 5 starters from the 2013 defense. Specifically, the defensive line has only 1 returning starter, Lorenzo Mauldin, who finished with 9.5 sacks last year. Charles Gaines and Terell Floyd are back in the secondary, the duo combined for 9 interceptions in 2013. The defensive newcomers will need to step up. The Miami defense has the athletes but have lacked discipline on this side of the ball. Denzel Perryman, the leading tackler from last year, will return along with CB Tracy Howard, Anthony Chickillo and Al-Quadin Muhammad. The Hurricanes hope to create some pressure up front as 7 of their top 8 sack leaders from 2013 return. -Special teams could also play a big role in this game if things play out evenly in the other aspects. And I really like our kick and punt return guys Charles Gaines, Corvin Lamb James Quick, Kai De La Cruz and Eli Rogers. Turnovers could also decide a game that is even all the way around. I’d be a blind homer if I were to say definitively that Louisville was going to win this game. It really is a close match-up when looking at it from a unbiased perspective. I do know definitively that it is one of the most anticipated opening games in Louisville’s football history, and maybe the most. And I do think the home crowd will help our Cards. I think that the home field advantage may be what determines a close one. I know I’m looking forward to it. We are always writing stories about our athletes when they are scoring baskets, making touchdowns, hitting homeruns, ect. However, we often miss the other important things these folks do while off the field of play. Tonight at a Fellowship of Christian Athlete meeting some of our athletes gathered to talk about the ultimate prize. We sometimes forget that the trophies we win here on earth are not anything compared to the one we get when our work here is done. Yes, Salvation is the ultimate trophy. Tonight was the first meeting of the year for the University of Louisville FCA and this gives our athletes a great opportunity to share their testimony in an attempt to help fellow athletes reach that ultimate prize. Several athletes have accepted Christ into their lives and have been baptized thanks to this program. I want to send out kudos to all those involved with the FCA at the University of Louisville and Chaplain Chris Morgan for the work he is doing for the student athletes on campus. Also to those athletes who are being spiritual leaders on and off the field of play using their gifts to bring glory to Christ. We have a great group of athletes to cheer for at the University of Louisville and things like this should not go unnoticed. Kudos again guys! Be sure to give the University of Louisville Chaplain Chris Morgan a follow on twitter @UofLfca to follow the great work he is doing on the campus and with our student athletes. And I’m sure they would also be thankful for our prayers as well. The Under Armour Elite 24 is a celebration of streetball’s past, present and future. This event has existed for 8 years and has become one of the premiere events of the summer. The first four were at Rucker Park, and then three at Venice Beach. Last years event was back in New York for the first time since 2009 and was literally played under the Brooklyn Bridge. The 9th annual game tonight will be played outside at Pier 2 of the Brooklyn Bridge Park. It is in my opinion one of the coolest venues for a basketball game that I’ve ever seen. Among the 24 high school prospects playing are Louisville commit Donovan Mitchell, and Louisville top targets Antonio Blakeney, Derrick Jones, Brandon Ingram in the 2015 class. The above picture is a shot of Donovan Mitchell in the Elite 24 dunk contest last night. If you missed the Dunk contest it will be re-aired at 12pm on ESPNU today. This kid has been one of the hottest players in the country this summer. He has been compared to players like Dion Waiters, Dwayne Wade and Tony Allen with his rim attacking mentality, abilty to score off the bounce and defensive presence. He will bring a lot of versatility to the Louisville backcourt when he arrives both on the offensive and defensive side of the ball. Blakeney has remained at the top of the list and a top target for coach Pitino this summer. He trimmed his list to seven schools back at the end of July. Louisville did make the cut and will get a visit from Antonio on Labor Day weekend. He has established himself as one of the elite scorers in the class of 2015 and would be a great addition to a already stellar Louisville recruiting class. Ingram has said he plans to cut his list to seven schools at the end of August. It looks more and more like Louisville will make the cut and Ingram recently told SNY.tv that he plans on making the trip to Louisville sometime in October. He would be a great addition to the class and give the Cardinals a great wing player for the future. Ingram has broad shoulders and long arms and he is a smooth operator at the offensive end. His first step is impressive while attacking off the dribble and he can post up as well. Jones recently cut his list to nine schools and Louisville made the cut. Jones is supposed to visit the Louisville campus sometime in September. He is known as an incredible finisher. He put his great athletic, leaping and finishing ability on display Friday night winning the dunk contest at the Elite 24. Thon Maker, Terrance Ferguson, Dennis Smith Jr, and Tyus Battle are the 2016 Louisville targets who will be playing on Saturday night. It is really way too early to say just how high on the priority list these 2016 guys are, but the staff has watched these guys and been in contact with them. It is a slow sports weekend as we all prepare for the college football season to begin, and tonight will be a great chance to see some guys that could be wearing the Cardinal red in the future. It will also be the last major event for these underclassmen as the next time most of them will be on the court in competition will be for their high school teams this fall. The game airs live on ESPNU at 7p.m. It hasn’t even been a year since I was standing in a cold and rainy Nippert Stadium watching Teddy Bridgewater play his last regular season game as a Cardinal. On that December night Teddy reminded all of us and the ESPN television audience just how special he was. On that night he was part QB and part escape artist scrambling and breaking tackles. It was Mr. 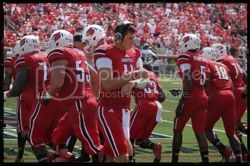 Clutch, who would throw two touchdowns in the fourth quarter to give Louisville a chance to win in overtime. One of those touchdown drives very similar to his game winning drive last night in Minnesota. Just several months removed from that heroic performance and his stellar play in the Russell Athletic Bowl the naysayers came gunning for Teddy Bridgewater. After a less than impressive Pro Day the mud slinging really started. His hands were too small, could he be a pocket passer, and my favorite of all: “His calves are small”. Those folks have to feel pretty silly today. Minnesota fans are feeling the same way we all did back on September 17th in 2011 when Teddy made his college debut leading our Cards to a long awaited victory over Kentucky. He breathed new life back into our program that evening in Lexington and had us yelling Teddy… Teddy… for the first time. I don’t know if he will get the starting nod this season in Minnesota or not, but I do know that Teddy is ready to physically, mentally, and emotionally challenge the big boys. And he’s ready to make big plays and to show those fans in Minnesota what we’ve know for years. Teddy Bridgewater is a winner. Watching that game last night took me back to that evening in Lexington, the night in New Jersey, the night in New Orleans and that night a few months ago in Cincinnati. I had seen that heroic drive in the final minutes, those clutch touchdown passes many times, and had been a part of that crowd who was yelling Teddy… Teddy… Teddy…. for the first time. 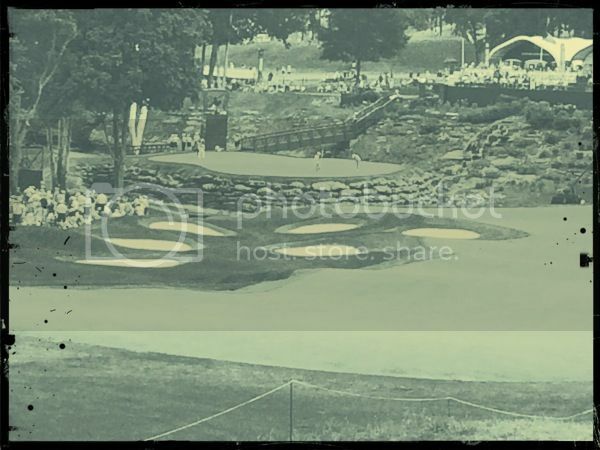 I had the privilege of going to Valhalla today to watch the opening round of the PGA Tournament. I really loved watching the guys who have mastered the toughest sport ever invented. 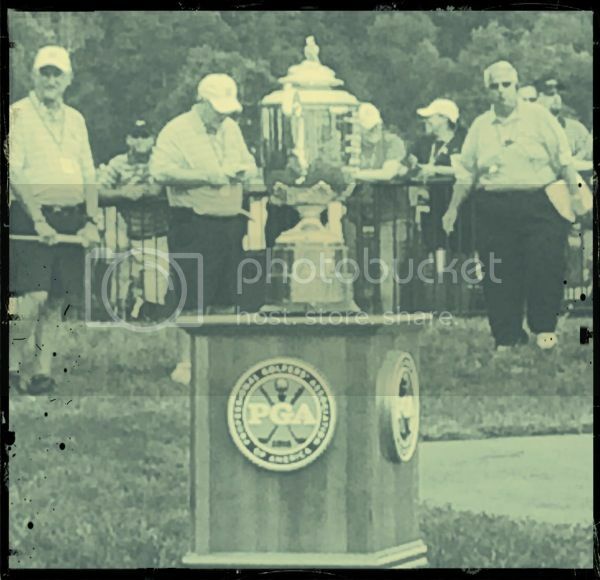 I also loved being out there today knowing that this PGA event allowed the great city of Louisville to showcase one of the many things that make it so special. Whoever wins the tournament this weekend will be embraced by some of the most passionate sports fans in the country for the rest of their lives. I seen a lot of Cardinal fans out there today and I was wearing my Cardinal hat with pride. Nobody loves and embraces all sports like the folks who wear red. Louisville is the city of champion’s horse racing champions, boxing champions, Ryder Cup champions, PGA Champions and the Champions at the University of Louisville. I was already very proud of Louisville, but when I came home this evening I was watching the Golf Channel getting my recap from the day when they played one of the coolest promo videos you’ll ever see. It is awesome! Today started the next chapter of the UofL football program and the Bobby Petrino era. The anticipation of a new football season is as high as it’s ever been. Although expectations seem to be tempered the Cardinals were picked to finish 3rd in the Atlantic Division at their first ACC media days and were ranked #36 in the first USA Today Coaches Poll, receiving 32 votes. Petrino, led the Cardinals to a 41-9 record from 2003-06. He inherits a team that went 23-3 the past two seasons but will see a much higher level of competition in the ACC. There is a lot of talent remaining on the team and there are a core group of guys who know what it takes to be winners. “I compare it to when I was here the first time and was coming off a team that was coached by John L. Smith,” said Petrino “(They’re) a group of guys that know how to work hard and have positive attitudes and are used to winning games. There was a good turn-out to help welcome in the start of this new season tonight at the open practice. You could feel the anticipation in the air. The Cardinal faithful have boarded the train and it has left the station. There are many exciting stops along the way this season starting with the September 1st date with Miami and hopefully ending with the final stop in a BCS Bowl game. I was most impressed with the Running Backs this evening. That group is going to be huge for us this season. 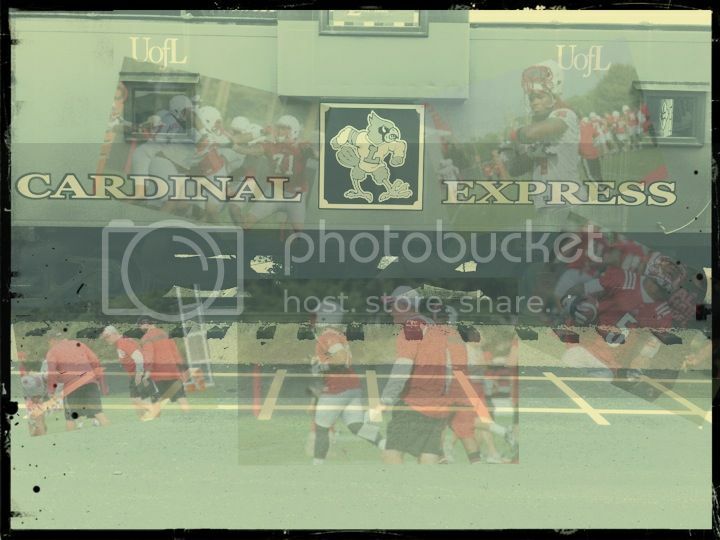 The practice was very intense and the guys were going hard. Got a lot of photos and some video tonight. Hope you enjoy! This past week the air has been a little cooler, students are moving back into the dorms and fall is on the horizon. For avid sports fans this also means that football and basketball season will be here soon. Louisville fans are anticipating a new sports year that will welcome in a lot of change and new beginnings. For the last three or four years Cardinal fans have relished in the consistency of our athletic programs. We have had the privilege of watching some great players who became legendary. They left their mark on the program by being champions on the court, and field. And they were athletes that also set the right example academically, socially, and spiritually. Guys like Teddy Bridgewater, and Russ Smith became a staple for their respective sports and you knew when they played that they were going to do so with a sense of pride and purpose. Those guys weren’t playing for the name on the back of their jerseys. There have been many guys and gals over the years who have cared enough to give their very best and the Louisville athletic programs are rich and vibrant because of that. I could name them all here, but you know who they are. And that’s not the point of this article. Every three or four years there is a symbolic passing of the torch and in successful programs like at the University of Louisville tradition never graduates. As we transition into a new era we will officially say good-bye to the past. Not forgetting, but pouring our passion and support out to the guys and gals who will take that symbolic torch and write their own chapters in the Cardinal history books. You might have ask yourself over the course of this past year what athlete could possibly evoke the feelings of support and admiration that Teddy and Russ did. And you may be wondering if it’s possible to replicate the overall success these guys had. In an attempt to answer those questions I say where there’s a WILL, there’s a WAYNE. In my opinion there are two guys who will be vital to their team’s success during the upcoming season. Two guys, who will be expected to step up, accept their role as leaders, challenge themselves and their teammates to be great, and set the tone for a successful season. In my opinion Will Gardner and Wayne Blackshear are ready. Will Gardner was considered the best quarterback in the state of Georgia in the class of 2012, and was one of the top prospects in the country at his position. He was named one of Tom Lemmings Top 25 combo QB’s. He had scouts singing his praises for his ability on the football field, and his pedigree is that of a champion. When he committed to Charlie Strong and the Cardinals he turned down the likes of Alabama and other top programs. He was considered one of Strong’s best recruiting grabs. During his senior season in high school Gardner tore his ACL causing him to miss most of his senior campaign. To make things worse, when he got to Louisville he had another setback, reinjuring his knee in practice. Teddy ultimately became the starter and Gardner embraced the back-up role, rehabilitating and waiting for his time. It is now Will Gardner’s time. He had a great summer and has already impressed coach Petrino with his height, arm strength, and poise in the pocket. He was sharp and in control, completing 32-37 passes for 542 yards and four touchdowns in the Spring Game. Wayne Blackshear was considered the best basketball player in the state of Illinois in the class of 2011, and was one of the top prospects in the country at his position. He was named Chicago’s Player of the Year, and was an All-American. He had scouts singing his praises for his ability on the basketball court, and his pedigree is that of a champion. When he committed to Rick Pitino and the Cardinals he turned down the likes of Kansas and other top programs. He is considered one of Pitino’s best recruiting grabs. During the end of his High School career he suffered an injury to his left shoulder, had surgery to repair it, and had spent the summer rehabilitating. To make things worse, when he got to Louisville he had another setback, reinjuring his shoulder in practice causing him to miss his entire freshman season. This injury has nagged him for the last 2 seasons leaving him waiting for his time. It is now Wayne Blackshear’s time. Fully healed for the first time in his Cardinal career he had a great summer of workouts. Coach Pitino challenged him to finally step up and put in the work required to be the player that he wants to be. Coach Pitino has raved about Wayne’s improvement calling him the “biggest surprise” this summer. There are many players during the upcoming football, and basketball seasons who will be vital to the team’s success. The two most important players are guys who have had their fair share of tough luck. These are two great guys who have carried themselves with integrity and pride during those struggles waiting for their moment. 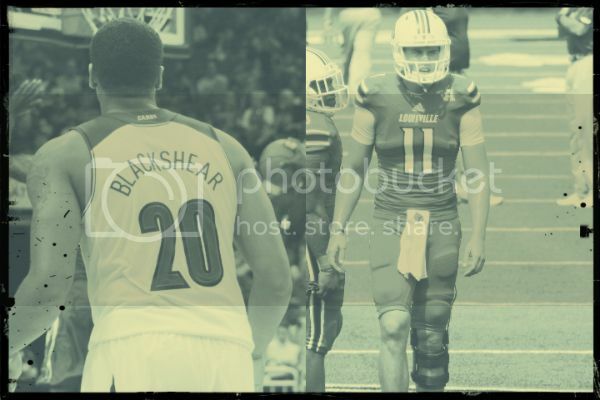 If the football team and basketball team have the success we all have come to expect Will Gardner and Wayne Blackshear will be the biggest reason why. It is their time and where there’s a WILL, there’s a WAYNE.